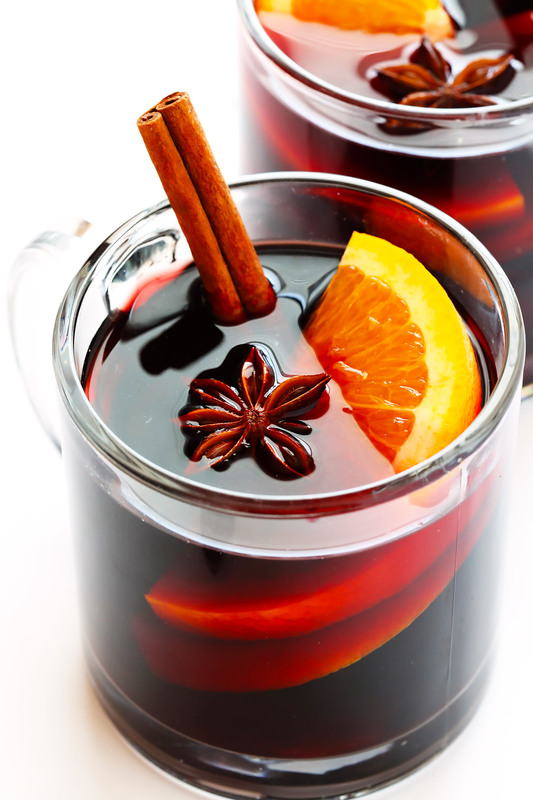 Hosting a holiday party but don’t have a signature drink yet? Read our fave four cocktail recipes. Serve with a side of warm and fuzzy feelings! In a punch bowl, dissolve the sugar in the pomegranate juice, stirring vigorously. Add the sparkling wine and late-harvest white wine, then add the orange slices, diced pineapple, and pomegranate seeds. 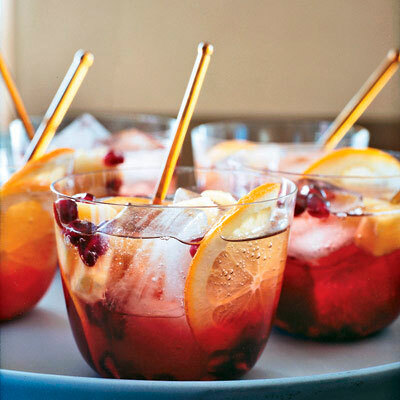 Serve the sparkling pomegranate punch over ice cubes. Mix all the ingredients, top with whipped cream & peppermint. Mix all the liquor together. 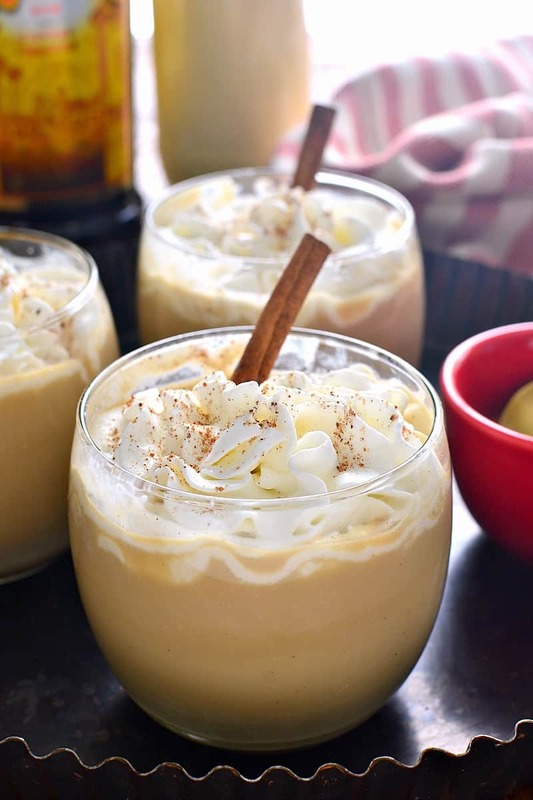 Top with whipped cream, sprinkle some ground nutmeg and garnish with a cinnamon stick. Combine all ingredients in a non-aluminum saucepan, and bring to a simmer (not a boil — you don’t want to boil the alcohol out!) over medium-high heat. Reduce heat to medium-low, and let the wine simmer for at least 15 minutes or up to 3 hours. Strain, and serve warm with your desired garnishes. You can also place the oranges, cloves, cinnamon, and star anise in a cheesecloth. Then simply strain and pull out the bundle when ready to serve.